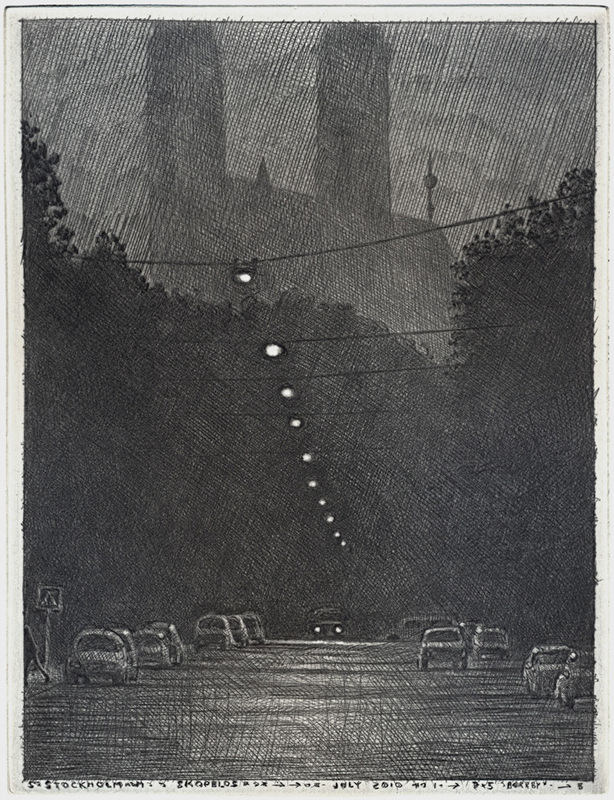 Mikael Kihlman is an established, award winning Swedish painter and printmaker, specialising in drypoint and mezzotint. 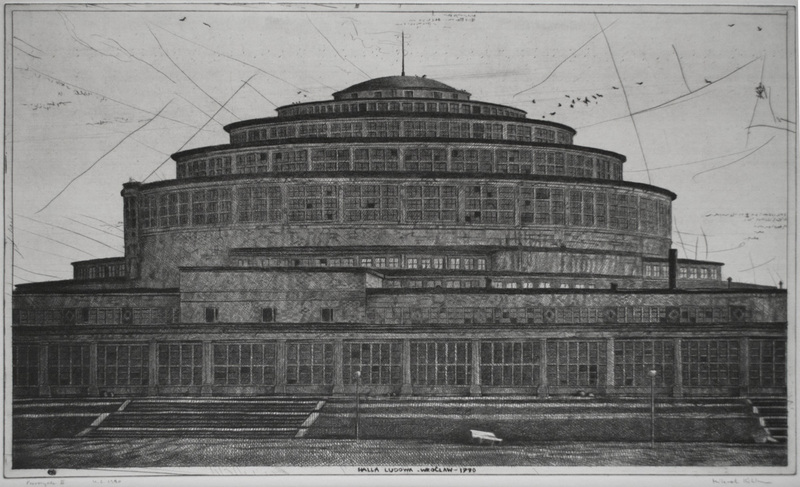 His work is in collections at the British Museum in London and several other renowned museums around the world. Tell us a little bit about you, and your artistic philosophy? I was born in Uppsala, Sweden in 1953. Both my parents had Finnish origin, my father from Helsinki and my mother from Ekenäs. They were from a Swedish speaking minority in Finland (Finland was Swedish between 1249 till 1809). I grew up in Sweden but my cultural identity from my heritage was Swedish/Finnish. This is my background and in my childhood these differences were quite obvious. From my family I have a rich interest and acceptance of the artistic work. We have writers, artists and scientist in the family so it was not unacceptable that I wanted to be an artist. I studied arts in the early 70´s, while at the same time playing guitar in different bands in Uppsala. 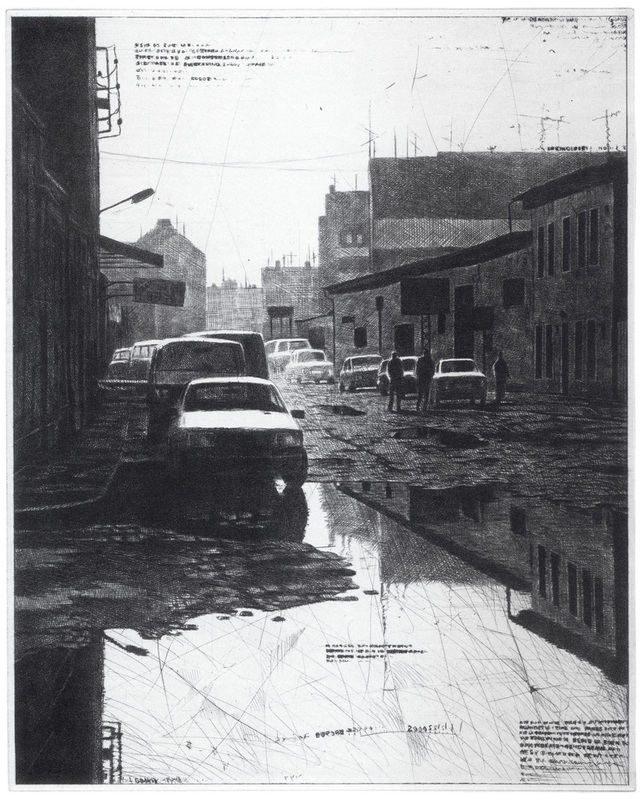 In the mid 70´s I chose the arts 100 % and started to develop my own personal expression. Even though the art scene at that time in Sweden was very political (left wing/socialistic) and “free form” full of experiments and breaking boarders, I spent most of my time studying the classics, mostly painting. I have been working with my own art full time since then it took a long time and much work to find my own path and my own expression. Looking back I can see that I really needed a deep experience of materials and hard work to refine my expression. There were no shortcuts, it had to take time. 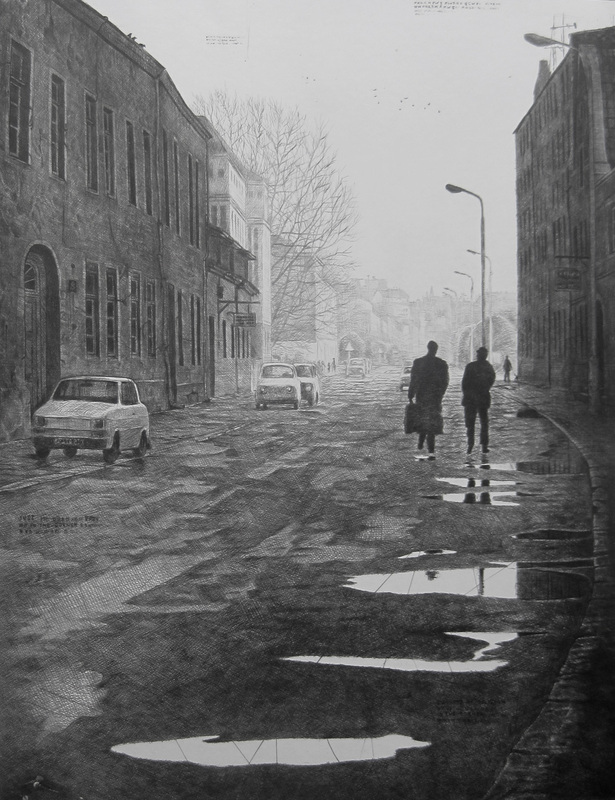 You have been exhibiting since the early 80’s, when did your artistic journey really begin? My own journey I guess started in my childhood. I have always been drawing and listening to music. Intuition and heart comes first; intellect comes after – sometimes I think this is unfortunate. My teenage period was in many ways wild and difficult but it had to be so. I had to free myself from so much to become one that is part of the world but at the same time different from it, like many artists are, observers. In the early 70´s, I became a vegan and I did a lot of meditation for over 15 years, that is always with me now as a centerpoint and base. I have never really had a choice other than that of being an artist, it was obvious and I never doubted that fact. I started exhibiting early, because of survival but also because I need the feedback and communication with an audience. My audience have helped me develop a lot. In my work, art is about communication and finding and refining a language that works for that communication. Exhibitions for me are like documents, steps on the way, a time to see where you are “now” and a journey to the next “now”. Art, like life, is always moving to something new. How different are things in the art world now, from when you started out? In Sweden, it is very different. In the 70´s and 80´s the general idea of art was something like “Art is for the People” and there were many galleries and platforms in every part of Sweden that were active and dynamic. In the 90´s the change to elitism started and now the scene is quite the opposite. Art is mostly for the rich, selected few and very intellectual. The “people” feel quite outside and not part of the arts at all. They don´t want to pay taxes to support something they are not allowed to be part of I guess. I am somewhere in the middle of all this, more as an observer, I just do what I am supposed to do, my own work. You use different media to produce your artworks – do you have any favourites? 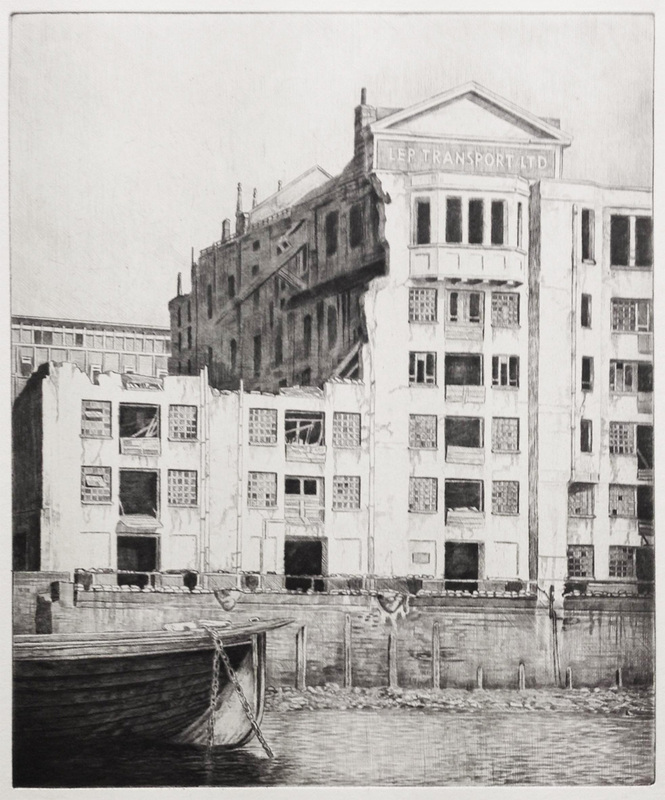 I started out as a drawer and a painter but in the early 80`s I was introduced to drypoint by another painter and friend of mine who did a lot of printmaking. He told me to come to his studio and he gave me a copper plate and a drypoint needle and said; This is something for you, you should try it. I did and I felt like home immediately. I stayed with my friend in that studio for about 5 years, doing my own plates and printing with him and for him. It was a very classical teacher/student relation and after 5 years he looked at my latest print, where I really had made something in my own way both technically and artistically, and he said; Now you´re on your own. And I was and then I started to developing large scale works and also finding my own ways with the press machine. 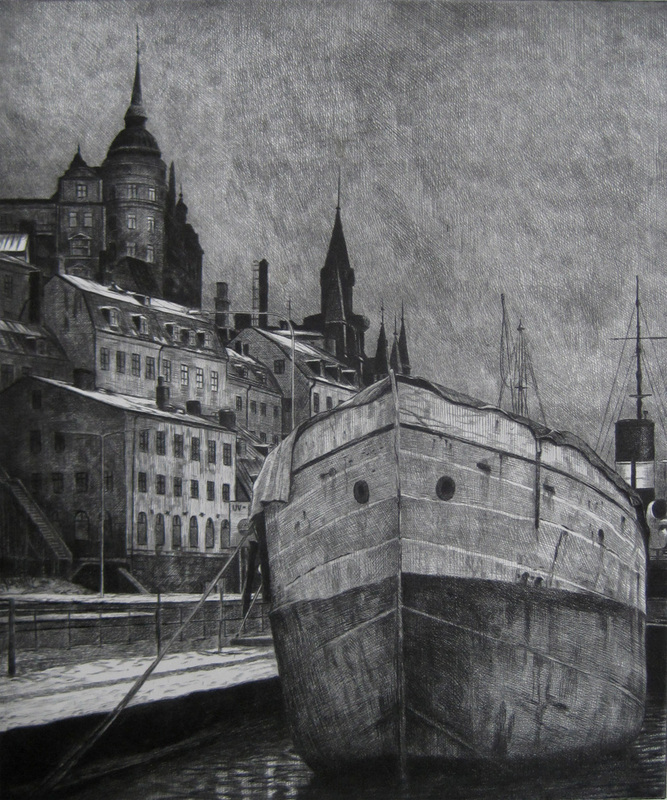 I like painting and different forms of printmaking but drypoint is always my basic reference point. You have to be skilled, intimate, humble and vulnerable in order to make what we call “Art”. It´s as scary every time and I am addicted to it. We noticed that most of your pieces are black and white and depict silhouettes and reflections. What draws you to that palette? Good question! It just happened I would say. The people in the pictures are often my friends. It is a specific place and a specific moment. It´s a snapshot of time, in one way as a starting point, then the layers of time add to that. Some plates take months to make. You do not need to know this as a viewer but you will feel it. It could be you or it could be a friend walking on that street, a street in Bilbao, or in Wroclaw, or in Krakow, or in Belgrade or in Montreal or in… The picture is in one way a part of us already. Recognition is important. My personal experience is reminding you of your personal experience. So then we communicate. The picture must be open and [should] invite you to walk along with that silhouette and share experiences together. I think my work needs time, both to make and to experience. They are made to hang on people’s walls and to be part of somebody’s life, for example children grow up with them on their parents walls and they become a part of their consciousness, hopefully triggering their fantasy and thoughts about what life is all about. 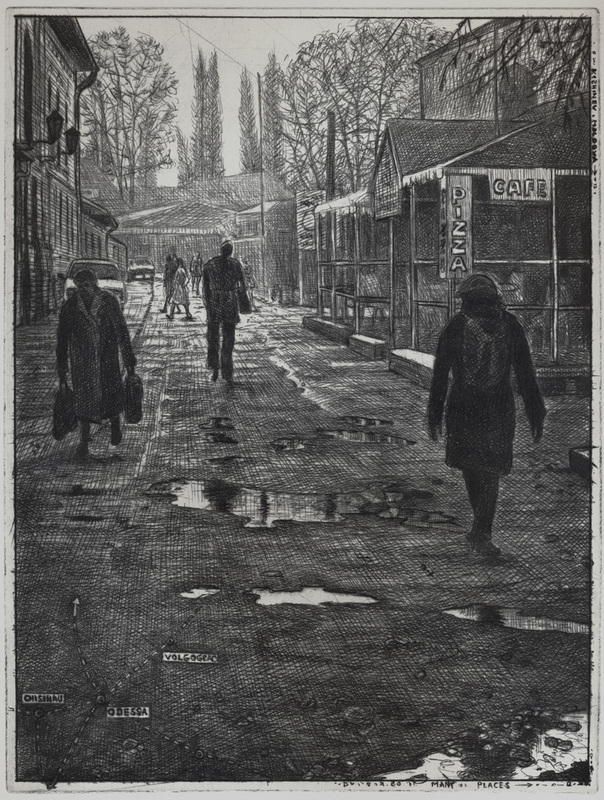 Are your streetscapes mainly inspired by the cities of Sweden? Sweden tends to go through periods of darkness, does this have anything to do with the mood of your images? Maybe, I am not sure but it is possible that it reflects my disappointment and sadness of how things are now in Sweden and in Europe. This world now is not what me and my generation (I hope) wanted to hand over to our kids. I have spent most of my life trying to understand myself and our history. Who am I, what am I doing here, what are we and where are we going? Timeless questions. I have walked so many cities in our world and trying to listen to the traces of generations before me. I think now that I understand less than ever, we are a mystery, this world is both heaven and hell and all one can do is try to be good in whatever way possible. My pictures are dark but the light is always stronger. I am a ‘negative positivist’ somebody once wrote about me. Any other parts of the world that you have spent time in and drawn? There are many. The world and it´s cities are a continuous inspiration for my work. Mostly it is Europe and especially Eastern European countries like Poland, Ukraine, Serbia, Slovakia, Czech Republic but also Canada, India and other places that has moved me deeply. I have spent a lot of time in Poland during the years, all since early 90´s. 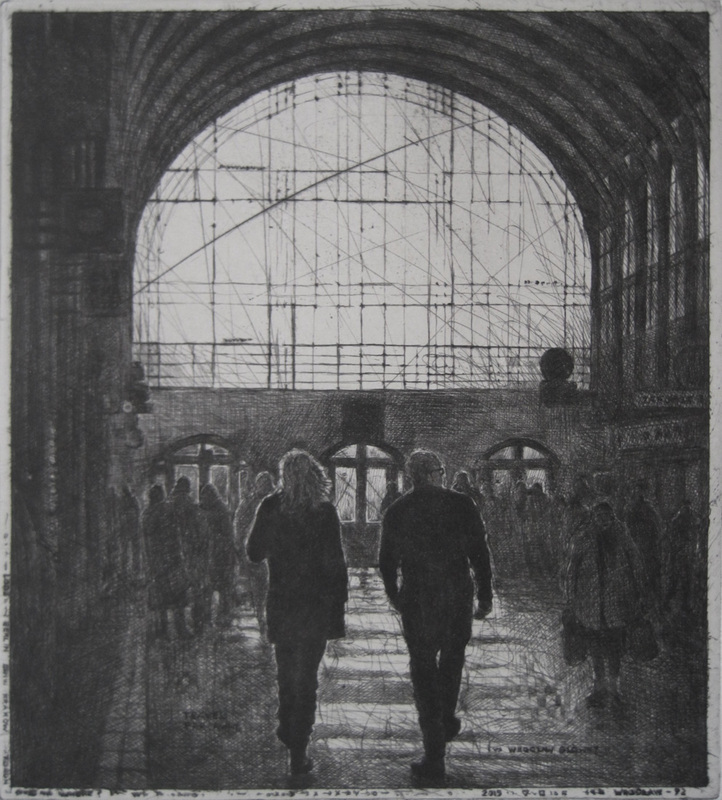 I have collaborated with many printmakers there, doing exhibitions in Poland, Sweden, Lithuania, Ukraine and Czech Republic. Especially with artists/printmakers from Wroclaw and the Eugeniusz Geppert Academy of Art & design, an impressive Academy with a very good graphic faculty with great studios and fantastic teachers. Karl Haskel spoke on the concept of “light” in your work. Tell us a bit about your depiction of light and water in most of your pieces. Light and darkness, water and reflections, the sky and the earth. The light is the most important in my work and also in my life. 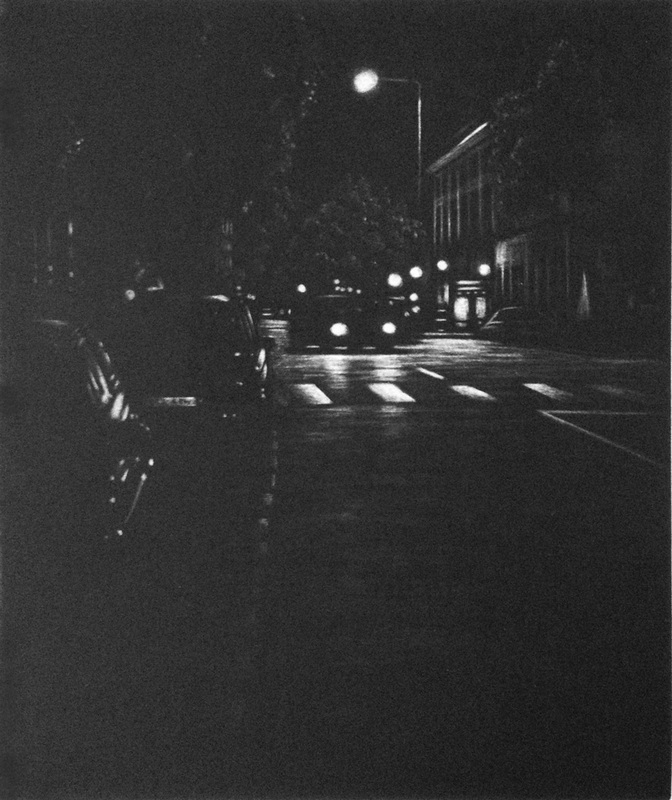 It might sound like a cliché but light reveals darkness on all levels of life, even in a print! There is a contemplative side of my work. I have noticed that the kind of discussions my works usually evokes are discussions about life and life seen from a distance. They have a meditative side I´ve been told and I think it is so too. The passing of time. The passing of the “now” into another “now”. 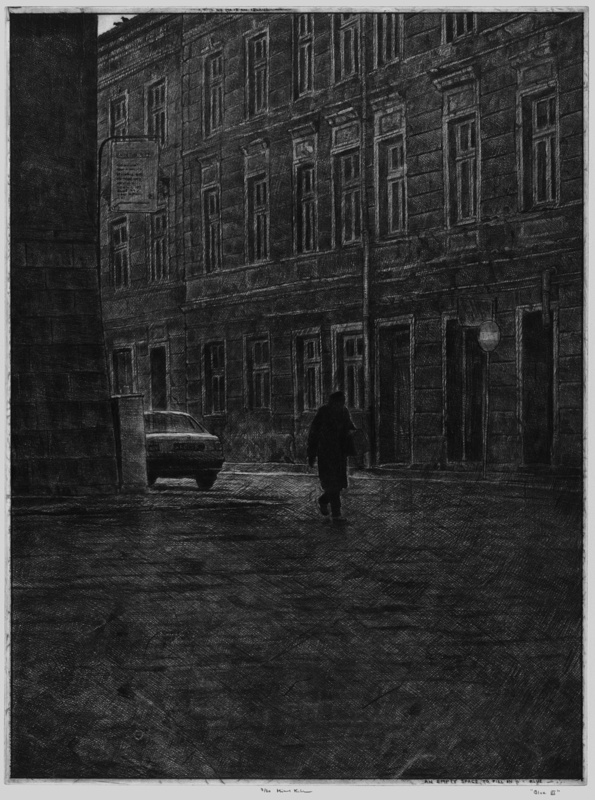 The technique with drypoint and sometimes another old technique called mezzotint helps to create this mood and are in themselves techniques that give a large number of greyscales and are also good for details. The reflections in water, puddles in the streets or wet areas opens the picture up and helps in the dynamics that make it interesting. Reflections are also an experience we as beings have in each other, some say the world itself is just a reflection of our own being. Who knows? Are you familiar with the films of Ingmar Bergman? Yes of course I am, but I have never really been a big fan of the films themselves, however I have loved the photos by his photographers, Sven Nykvist and Gunnar Fischer; two masters that have inspired me a lot. 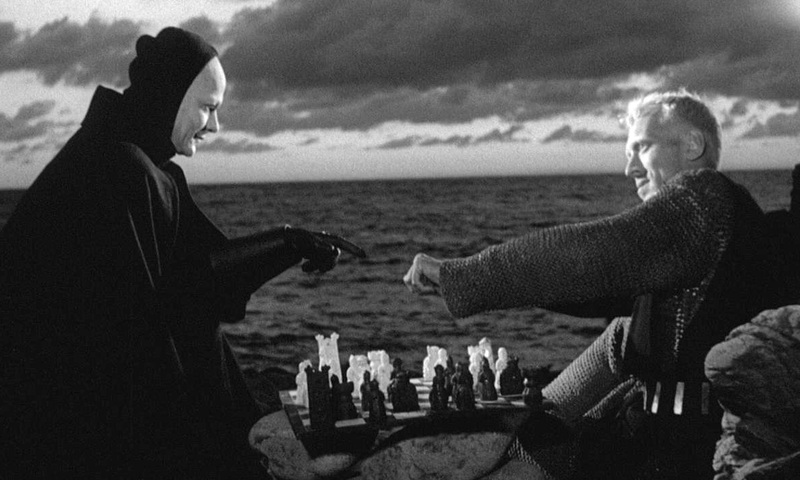 One of my favourites however, is the chess scene with death in Bergman’s film The Seventh Seal from 1957. For Swedish artists I think Ingmar Bergman is both a great inspiration but also an obstacle you must overcome. Bergman also depicts Sweden in a murky, desaturated ambience, is there any relationship between his work and yours? It´s hard for me to say. Bergman’s interest was in the relationships surrounding him at that time. The psychology, the deeper forces within that makes our life so difficult to live through without making a mess out of it. And he took much of his drama from the upper-class and their inner complications. His existential thoughts are maybe where we are most close. For me his work was mostly too introvert and self-indulgent. I am more of an extrovert and I am curious about the world and the people around me in different way. I also belong to another generation from Bergman, my generation was the flower power generation, Huxley, Dylan, Cohen etc. I was in the middle of that explosion of music, literature and art that happened in the late 60’s and the beginning of the 70’s. Have you had any prominent artistic encounters/collaborations throughout your career? I have met many Swedish and Foreign artists in my work and I have also curated many exhibitions touring different countries and I also have some close artist friends that I do shows together with under different themes. 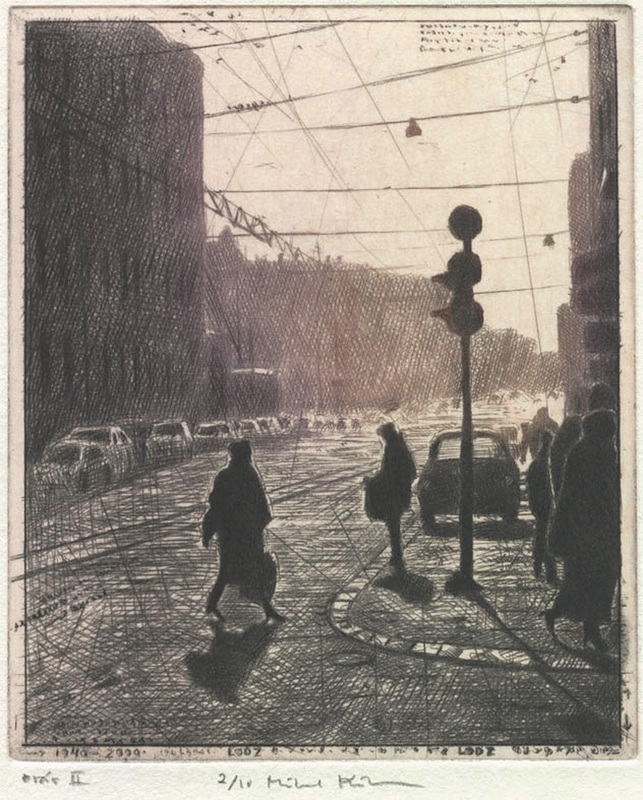 Many of them are world famous but only in Sweden so to speak… Those that really have influenced me are long dead, Rembrandt, the impressionists (Bonnard especially), Axel Fridell (Swedish printmaker 1894-1935), Vilhelm Hammershøi (1864-1916) and many more. I mentioned my collaboration with Poland and the Eugeniusz Geppert Academy and some of the professors there; Jacek Szewczyk, Pawel Frackieiwicz and Chris Nowicki. 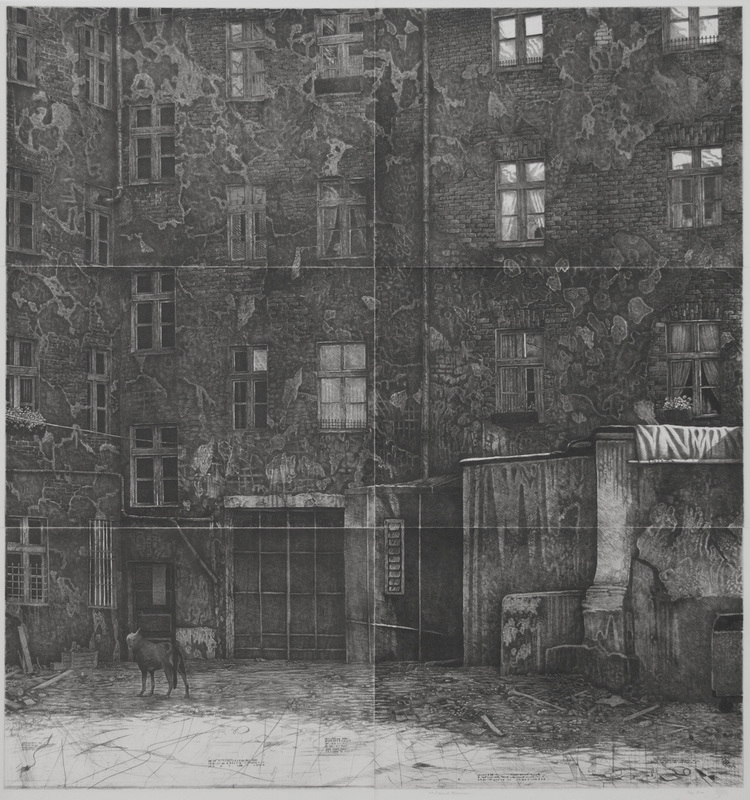 One printmaker, definitely still alive and well, I was invited to exhibit together with at the 27th Biennial of Graphic Arts, MGLC in Ljubljana, Slovenia in 2007, was Christiane Baumgartner, we shared a space together in the exhibition. Her work was and is stunning and her both serious and at the same time detached attitude to her work inspired me a lot. 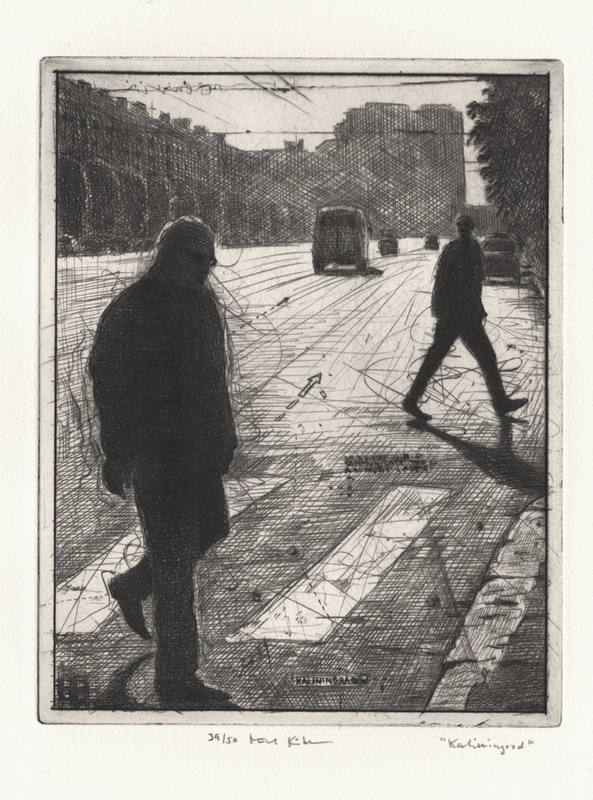 At the same EXHIBITION was also a beautiful series of prints by William Kentridge, another favourite of mine! You have produced a lot of work and been exhibited all over the world. What next for you? Any aspirations or goals you are looking forward to. As I mentioned, my aim and goal is to be able to keep going as long as possible. Time is short and I don´t want to waste my time. I have many works still to be made. 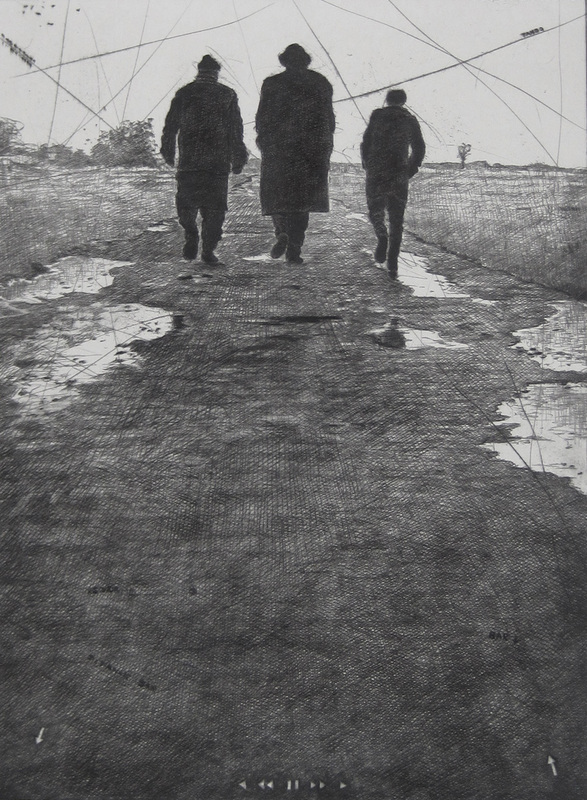 With age also comes responsibility and I have obligations in different organisations focusing on printmaking. At the moment I am deeply involved in the rebuilding of Grafikens Hus, a fantastic large printmaking center outside Stockholm that tragically burnt down completely in march 2014. This fall I will go to Japan for two weeks to meet many colleagues there and also to see what the younger generation is up to. I will also be part of a larger exhibition there. Hopefully in the future we can make some exchanges and collaborations, if I can help that happen I am happy. We noticed music being a part of some of your exhibitions. What type of music do you play? Music and guitars has been with me through my whole life. All from Davy Graham, Donovan, Bob Dylan and the English folk scene with Bert Jansch, John Renbourn, Nick Drake and American folk and blues. I played a lot of Mississippi bottleneck slide blues and in later years, music by Jeffrey Foucault, Kelly Joe Phelps, Guy Clark, Darrel Scott, Ward Davis etc. I just love playing and will continue to as long as my fingers will flow on the fretboard! And yes I´ve gone through some of the younger singer songwriters too when I like their style and I do some of my own songs now and then. It´s a lot of fun!